Latest information reaching us today, Which has also been confirmed by our board, is that the Unilag post utme Registration and Application form, for the 2018/2019 academic session is out. As so many candidates may have already known, the Unilag post utme application form and registration guidelines have been released. This article here today, is to provide help to all candidates who sat for the jamb 2018 cbt examination and who selected the University of Lagos as their first choice/second choice preferred institution, here are some important information you need to know. 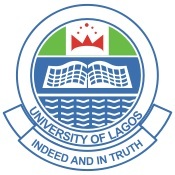 Please take note that the University of Lagos (UNILAG) Post UTME form is now on sale. However, we are glad to inform you, that the unilag post utme exercise will hold from Monday, 6th August, 2018 to Friday, 10th August, 2018. Using this medium, i would love to humbly request from all candidates to please calm down and study for the forthcoming examination, and what are the best materials to use in studying and preparing for post utme examinations? Nothing better than a past question and answer material, since Nigerian Universities keep doing questions repetition in their examination. Take note that this year’s post utme result will pose different problem to candidates, especially all candidates who did not score up to 200 generally because of the increasing number of student who are seeking for admission (Except you’re going to A Private University or Polytechnic). However, based on the released Jamb result, there have been reports of extremely high scores like 298, 304, 312 and very low scores of 59, 27, 88, so we guess you are the higher side. Because if you scored anything less than 180, be sure that the University of Lagos will admit you. Here the four important things to note if you’re searching for admission into Unilag. I cannot say this enough. Please make sure that you read all the syllabus for your four basic subjects, this is very important and vital for safeguarding your admission into the University of Lagos. What is more important to read before getting admitted? Personally and to all successful candidates, we know that the best material you should be reading now, is the unilag past questions and answers. Proceed and make sure that you solved every years past question. This is very important, when going to the past questions, you should make sure that you try as much as possible, to evaluated your examination performance and take notes of the topics you would usually fail in the Past Questions, and try as much as possible to read and know more about those topics. Is the unilag post utme exam cbt? This are the kind of information you should be eager to know. Well, the school is silence on this matter, but since you sat for the jamb examination, which is computer base test, i guess this won’t be any problem to you. We’re wishing you the very best and don’t forget to share this information with your friends on facebook, twitter and google+, using the share buttons below.